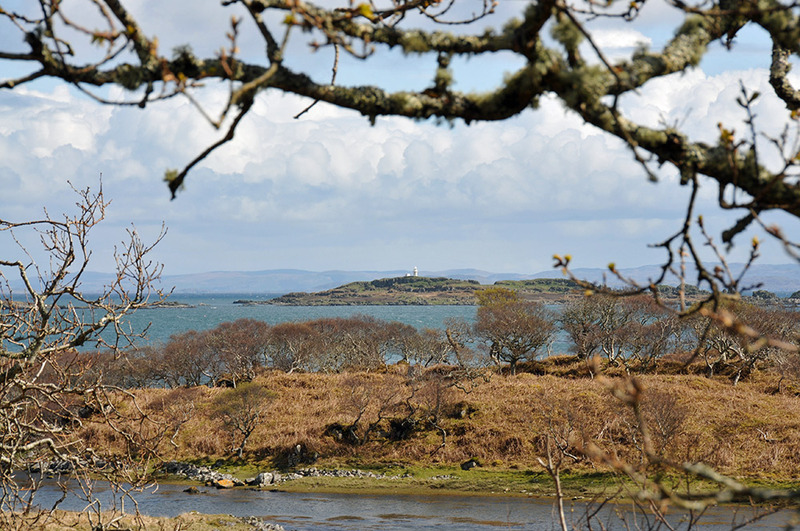 A view of Eilean a’ Chuirn with its small lighthouse off the south coast of Islay, seen through trees during a walk along the Southern Skerries in April. This entry was posted in Cloudy Weather, Landscape, Lighthouses, Repost, Sunny Weather and tagged Eilean a Chuirn, Islay, Southern Skerries by Armin Grewe. Bookmark the permalink.